This is the free Event Edition of BlindSquare, provided by MIPsoft and Acapela. BlindSquare Event Edition will only work at the time and location of different events of special interest to the blind community. 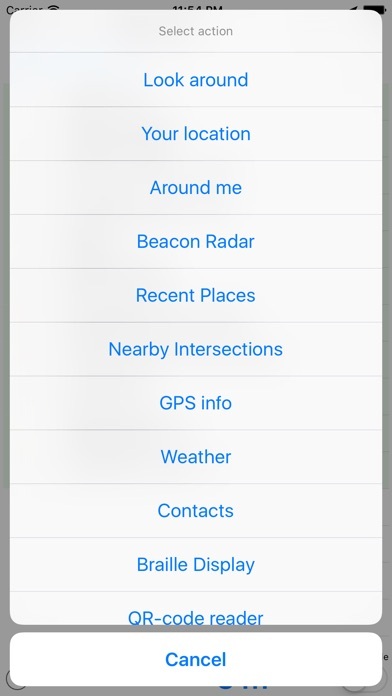 If you select the demo mode, the app will simulate a location for you. It will behave as if you were at the simulated location and you will be able to try many of its features. -- BlindSquare makes you sense what's around you. The only thing you need to do is listen. BlindSquare is a new solution that combines the latest technology to help the blind with their daily lives. It has been developed in collaboration with blind people and carefully field tested. You need either an iPhone or an iPad to get started. It also supports some additional accessories to enhance the experience. How does it work? BlindSquare uses GPS and the compass to locate you. 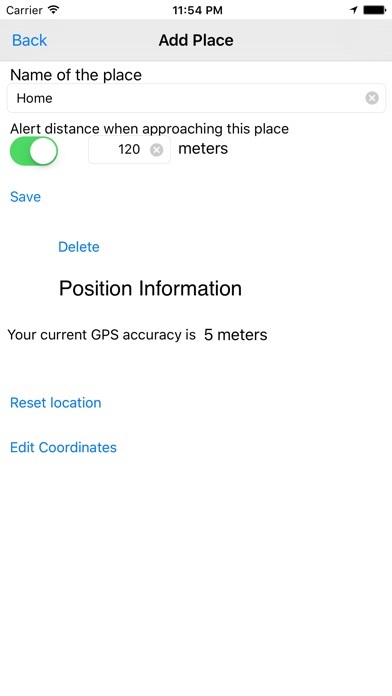 It then gathers information about the surrounding environment from FourSquare. BlindSquare has some unique algorithms to decide what information is the most relevant and then speaks it to you with high quality speech synthesis. “What's the most popular café within 200 meters radius? Where is the post office or the library?” Using BlindSquare as a GPS solution: When you start the app, it will start telling you the interesting places and street crossings around you. By changing the radius, you can limit the area you are interested in. You can also search by search term or by category. You can select an interesting place from the search results and perform the following tasks: 1) Get contact info (address, phone number) 2) Open twitter feed or restaurant menu (if provided) 3) Make a phone call 4) Start tracking the place (BlindSquare will assist you by repeating the distance and the clock face direction) 5) Start your favourite navigator for turn-by-turn instructions (TomTom, Navigon or Apple Maps) BlindSquare is aware of when you travel by car, bus or train and starts to report interesting places in front of you (for example, the next stops) and street crossings when you are passing them. You can also save your own private places to iCloud so they will be found with your every device. Using BlindSquare as a FourSquare client: If you like to play FourSquare, you can do the following with BlindSquare: 1) Get a list of nearby FourSquare venues 2) When you are in a place, you can check in by shaking your device 3) Do a check in with commenting and twitter/facebook sharing 4) Correct the location of the place BlindSquare supports the following languages: English, Spanish, French, German, Italian, Dutch, Russian, Japanese, Finnish, Swedish, Norwegian, Czech, Estonian and Hungarian. VoiceOver usage is supported but it also includes higher quality additional speech synthesis by Acapela Text-To-Speech from Acapela Group. Instructions in English: http://help.blindsquare.com and http://blindsquare.com/faq Application includes high quality speech synthesis thus size of the app is 90 MB. You need a wifi to download. 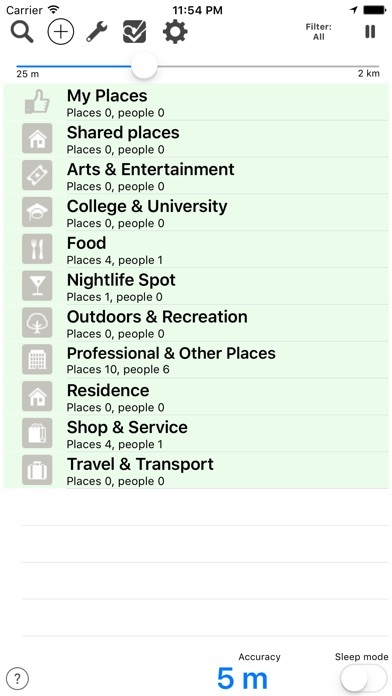 Please notice: This app get's data in realtime from FourSquare and Open Street Map database. Flat rate data plan is highly recommended. Having only been released in May 2012, BlindSquare has already received several prizes and awards: - GSMA: Global Mobile Awards 2013, Best Mobile Health Product or Service - Apps4Finland 2012 - OpenCities App Challenge 2012 - The Finnish Information Processing Association: Best Product 2012 Continued use of GPS running in the background can dramatically decrease battery life.